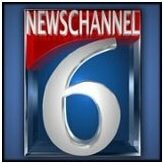 News TV Channel / KAUZ-TV, virtual channel 6 (UHF digital channel 22), is a CBS-affiliated television station serving the Lawton-Wichita Falls market that is licensed to Wichita Falls, Texas, United States. The station is owned by American Spirit Media; Raycom Media – owner of ABC affiliate KSWO-TV (channel 7) – operates KAUZ through a shared services agreement. KAUZ maintains studio and transmitter facilities located near Seymour Highway (U.S. Route 277) and West Wenonah Boulevard in southwestern Wichita Falls. The station also operates a translator station, K29FR-D in Quanah, Texas, to relay its programming to areas of western north Texas and extreme southwestern Oklahoma that are located outside its primary signal coverage area.